Powered by M12 REDLITHIUM Battery Technology, the all new Milwaukee M12 Heated Hand Warmer uses carbon fiber heating elements to create and distribute heat to the front and back of the insulated hand pouch. Wind and water resistant materials combined with high, medium, and low heat settings protect from the elements and provide the right amount of heat for any conditions. Built with TOUGHSHELL Stretch Polyester to provide protection from wind and rain, the Heated Hand Warmer also features high loft insulation and a fleece interior lining to maximize comfort. The additional of zip and magnet utility pockets provide quick storage for electronic devices and personal items. All Milwaukee M12 Heated Gear items are washer and dryer safe. Kit includes M12 REDLITHIUM 2.0 Compact, M12 Battery Holder with 2.1A Output, and M12 LED Work Light. The MILWAUKEE WORKSKIN Cold Weather lineup is expanding with a new hard hat liner. This hat liner handles the demands of hard work in cold conditions. Constructed with fast wicking materials, the hard hat liner moves moisture away from the body's high-sweat areas to avoid dampness, cold and freezing. Durable, long-lasting fabric provides more head insulation without pilling. The material also fights odor extending product life. These new liners are optimized to be used with hardhats without creating additional bulk. This WORKSKIN product manages moisture and body temperature even in jobsite conditions. 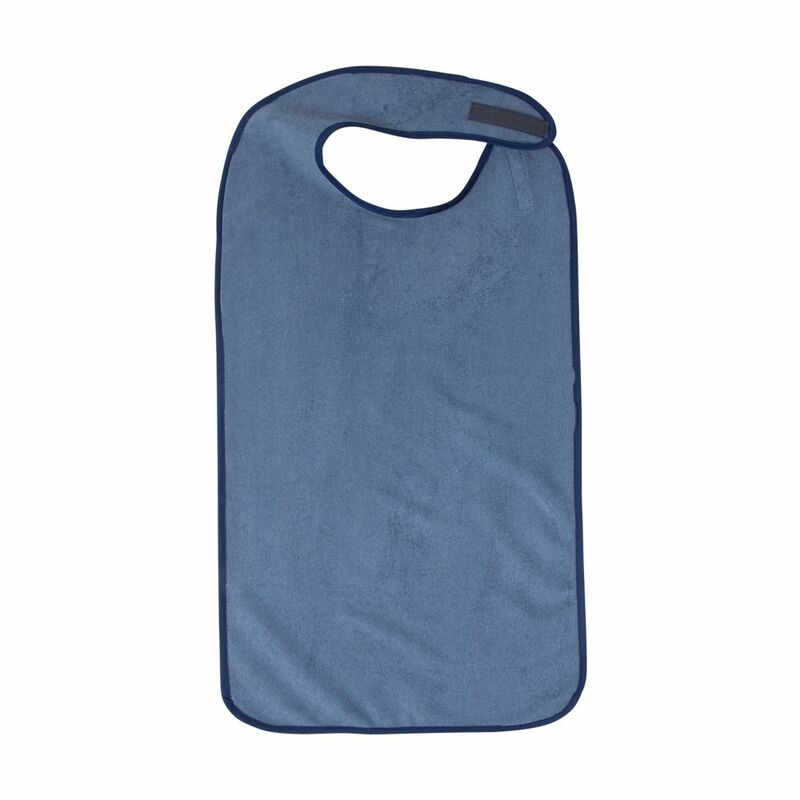 Clothing Protector This absorbent terry cloth mealtime protector with a water-resistant backing will shield clothing from food or drink stains. It's long enough to cover the chest area as well as the lap to catch any spills or crumbs. The hook and loop closure makes it easy to close without worrying about buttons or snaps. It's easy to keep clean because it's machine washable. Clothing Protector is rated 5.0 out of 5 by 1.